The Character Animation (CA) program focuses primarily on the theory and practice behind making a character come to life. Each year focuses on a progressively more complex curriculum that guides students on the path toward mastery of both 2D and 3D character animation as well as providing experience with preproduction and production. The Character Animation program begins with traditional exercises using pencil and paper that allow the students to explore the basics of drawing for animation before progressing to physics-based assignments and eventually leading to acting scenes. Once the basics on paper are grasped, the students transition to digital animation and begin using programs like TVPaint™, Toon Boom Harmony™ and After Effects®. They also participate in a wide variety of film-making related courses like film history and culture, storyboarding, layout, and character design. The CA students also undertake short productions at various points during the year, both with the Computer Graphic Arts (CGA) students and Animation Direction students from La Poudrière. These collaborations give the students their first experience with essential production skills in communication, teamwork and project completion. During the second year, the students take their 2D animation skills into the 3D platform using Maya® and gain experience animating CG characters. The students also encounter other aspects of a 3D workflow such as previz and very basic modeling, rigging, lighting and rendering. They work on another project in collaboration with the CGA students, the NGO project (link), in order to provide understanding of working with a client on a film with a message. During this production, they also further their skills for working in a CG production setting in groups. The students also have an elective, giving a chance for them to go in-depth within an area or explore into uncharted land or dive deeper into a specialization. The second year, students take classes in preparation for idea development for their 3rd year productions. These classes may include world building, story development, cinematography, film analysis and pitch presentation. Third year students from the CA and CGA programs come together to form production teams to create their graduation productions that culminate into their bachelor projects. Based on a selected pitch, the teams form and students specialize into elective roles to plan and manage a complex project and learn the importance of adhering to deadlines. 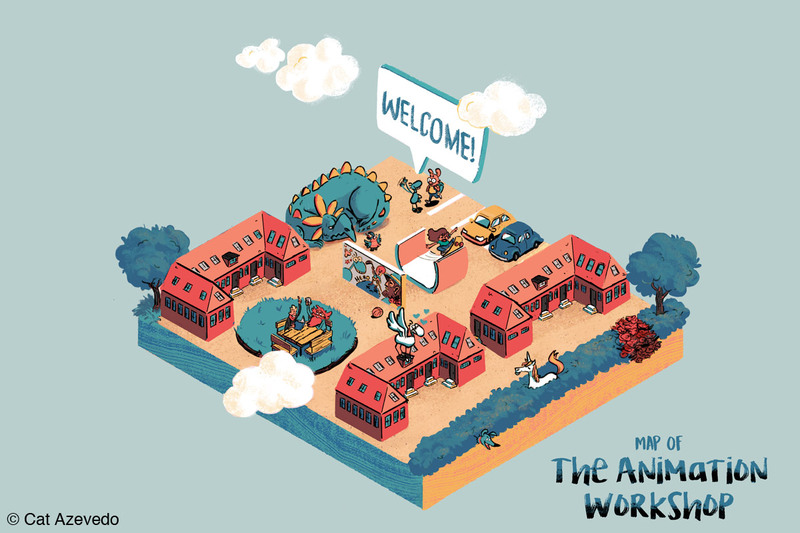 The Character Animation students also produce the animation for the mid-way and graduation film projects of the Animation Direction students at the National Film School of Denmark, giving them additional experience with a director on a high-quality film production. Furthermore, the third year students compile their portfolios and showreels, guided by the staff and teachers, to highlight their skills as they apply for internships and target the jobs of their choice. The Computer Graphic Arts (CGA) program focuses on the artistic and technical areas of 2D and 3D animation film production. The aim is to develop a versatile artist with a strong foundation in storytelling and design, and an equally strong foundation in the entire 3D pipeline. By the end of the degree, the CG artist should see 3D as a tool for storytelling. The first year of the CGA program concentrates on the foundations of artistic practice with several modules related to design, concept art, animation, film history and culture. Furthermore, students receive a thorough introduction to Maya® and Adobe® and begin working with most aspects of the Maya pipeline, where 3D modeling, both in regards to characters and environments, has the biggest focus. The students then learn how to integrate 2D and 3D elements into their projects and evaluate when to use which, depending on the available resources. CGA students also undertake short productions at various points during the year, both on their own and with the Character Animation (CA) students to gain their first experience with essential production skills in communication, teamwork and project completion. During the second year, the students build on the strong foundation from their first year. The focus was more on 3D modeling on first year whereas in the second year has more focus on texturing, shading, lighting, rendering and compositing. The year is built around two larger projects and a smaller elective. The first project is called the quadruped project, where the individual student creates a four legged creature from the initial concept to realizing it in 3D and finally integrating it into a live-action background. They work on another project in collaboration with the CA students, the NGO project (link), in order to provide understanding of working with a client on a film with a message. During this production, they also further their skills for working in a CG production setting in groups. The elective is chance for the student to go in to depth within an area or making an exploration into uncharted land or dive deeper into a specialization area. 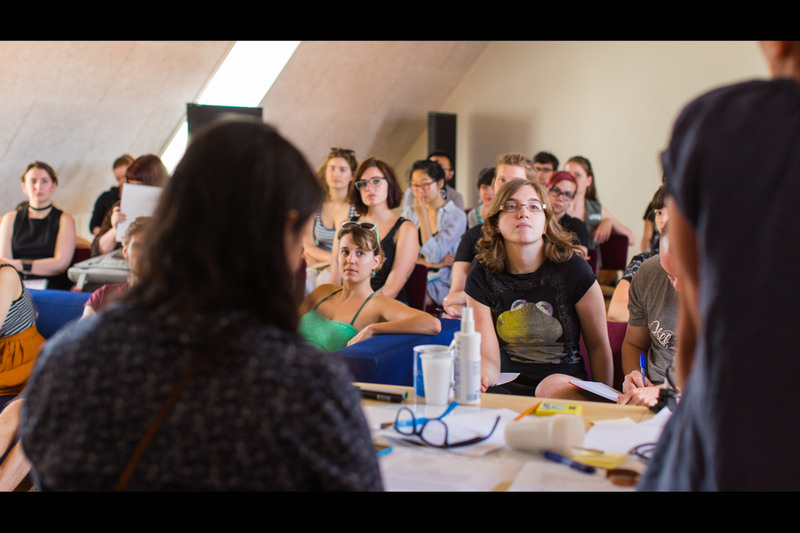 The second year, students take classes in preparation for idea development for their 3rdyear productions. These classes may include world building, story development, cinematography, film analysis and pitch presentation. Furthermore, the third year students compile their portfolios and showreels, guided by the staff and teachers, to highlight their skills as they apply for internships and target the jobs of their choice. Michelle Nardone: Our program’s strengths are currently a blend of 2D and 3D. We train the students to analyze their project’s style and technique needs, creating a unique pipeline utilizing the medias to create a beautiful look with an efficient workflow. Often, our films are a blend of 2D and 3D, though the audience is not aware of it. Furthermore, we devote time to encourage the students’ personal/professional development, guiding them with design theory to reveal and develop their own unique skill set they have to offer. Michelle Nardone: The admissions to the bachelor programs at The Animation Workshop is talent based. This means that it is the drawing skills and the potential demonstrated in the portfolios, which are decisive for our selection of applicants for the programme. Above all, we look for solid drawing skills. 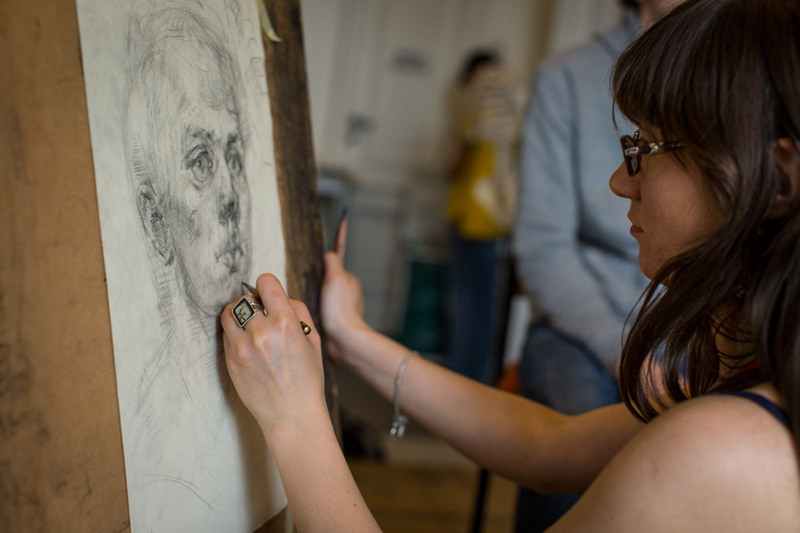 Excellent life drawing and perspective drawing are a crucial foundation. 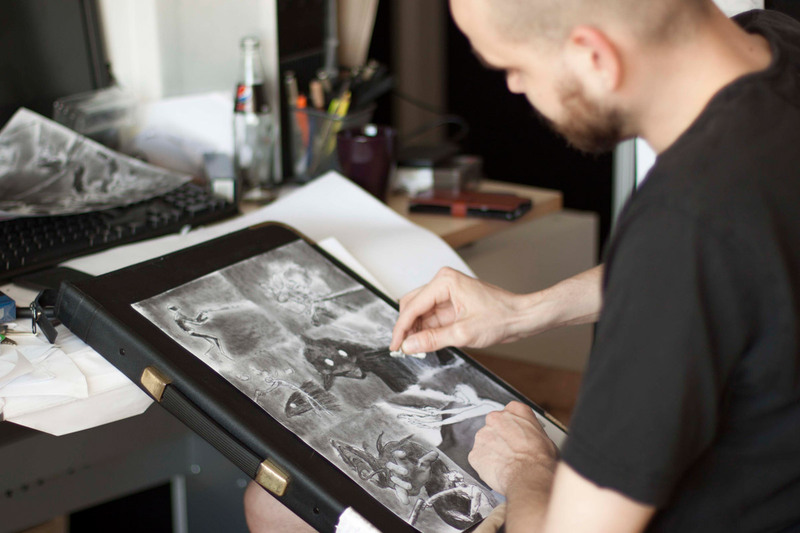 Furthermore, we are interested in seeing originality and a broad range of personal drawing styles in your portfolio. Finally, we are looking for students who display an open attitude to learning, taking critique, displaying leadership skills, and trying new work methods. Character Animators: 2D Character Animators and/or 3D Character Animators for commercials, series, film, and games.